As a member of your school’s PTA, you may find creating a Long Island school fundraiser plan, to bring to the fundraising committee, one of your most difficult tasks. Planning a school fundraiser is a hard job to undertake. You must not only be sure that the fundraiser will bring in enough money to be worth all the work for the school; you must also ensure that the costs to put on the fundraiser are not to high, and will balance out with the money made from the event. So—where do you start? 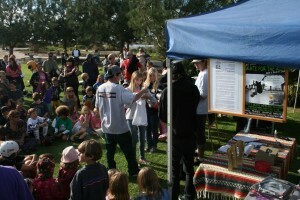 First, you want to come up with a good idea that parents and kids will both be on board with, like a carnival. Everyone loves a carnival, and will surely stop by even for a short time to play a few games and eat something from a concession stand. There are nostalgic memories to be found at carnivals, for most people, and those people won’t be able to stay away. The fact that it benefits the school: even better. Secondly, you need to find a company that provides everything you need, by way of long Island Party Rentals, for School Fundraisers. 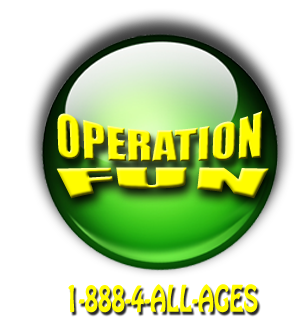 Operation Fun is your premiere Long Island Party Rental service for School Fundraisers, or any other party! Starting with concessions, Operation Fun is the place to call to put your School fundraiser carnival together. Whether you want Snow Cones, Italian Ice, Pretzels, Cotton Candy, Hotdogs, or Popcorn stands, Operation Fun has it. Moving on to carnival games, your Long Island school fundraiser will be a huge success with a wide array of classic carnival games and activities that will interest any carnival visitor. Everyone loves games, which makes this a great way to make a large amount of money for your school! If you really want to create a splash at your Long Island School Fundraiser, Operation fun offers dunk tank rentals for those who don’t mind getting a little wet in the name of raising money for their school. Dunk tanks featuring teachers and administration will guarantee every child will want a chance to dunk their favorite teacher or principal. One of the most fun aspects of any carnival is the selection of rides and activities! Operation Fun offers Long Island Inflatable rentals- everything from bouncy houses to intricately designed inflatable obstacle courses, waterslides, jousting rings and everything in between. Not only are inflatables fun, their soft, bouncy qualities are safer than abrasive edges and hard surfaces—great for a carnival full of kids! Whatever your Long Island School Fundraiser is looking to accomplish, Operation Fun can easily and affordably help you get to where you need to be in terms of preparations after your planning process is complete. 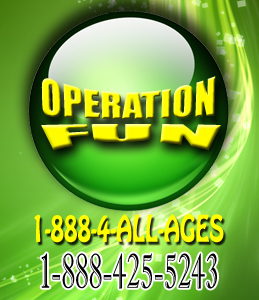 Contact Operation fun today, for all of your School Fundraiser in Long Island needs.